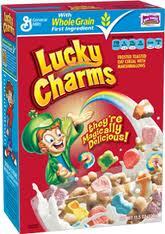 Click here to visit the Lucky Charms site and either register or login. Then play their instant win game to try to find Lucky. 425 winners will instantly score a free prize ranging from headphones to hats. Good luck!